I am participating in a campaign for Brookside Chocolate. I am receiving a fee for posting; however, the opinions expressed in this post are my own. I am in no way affiliated with Brookside Chocolate and do not earn a commission or percent of sales. One of my best tricks for easy gift giving is to keep items on hand that I know people love (because I love them too!). Since Brookside Chocolates are a staple in my pantry, these tasty morsels often work themselves into my party favors and gift ideas. When it comes to chocolate, you literally have hundreds of choices. I choose Brookside Chocolates for several reasons. You’ve probably heard about “superfoods” like acai and goji. It can be intimidating to try new flavors – until you wrap them in chocolate! When I have a glass of cabernet sauvignon, I love slightly tart sweetness of Brookside Dark Chocolate Goji & Raspberry Flavors. The fruity finish of a merlot, however, matches better with Brookside Dark Chocolate Acai & Blueberry Flavors. For a mid-afternoon pick-me-up, a handful of Brookside Crunchy Clusters perks me up in a few small bites. If you prefer a bar, Brookside has those too! One of the reasons I always stock Brookside Chocolates is that they’re available almost everywhere I shop. You can find them at Walmart, Target, Sam’s Club, and Walgreen’s (just to name a few). I appreciate when my friends make time in their schedules to spend time with me. That’s why I love to provide small party favors when I host special events at my home. I keep a stock of these favor tins on hand. In just a few minutes, I can fill several of them with Brookside chocolates. Then, just a short strand of ribbon wrapped around the tin is all it takes to create an attractive party favor my guests are thrilled to receive. 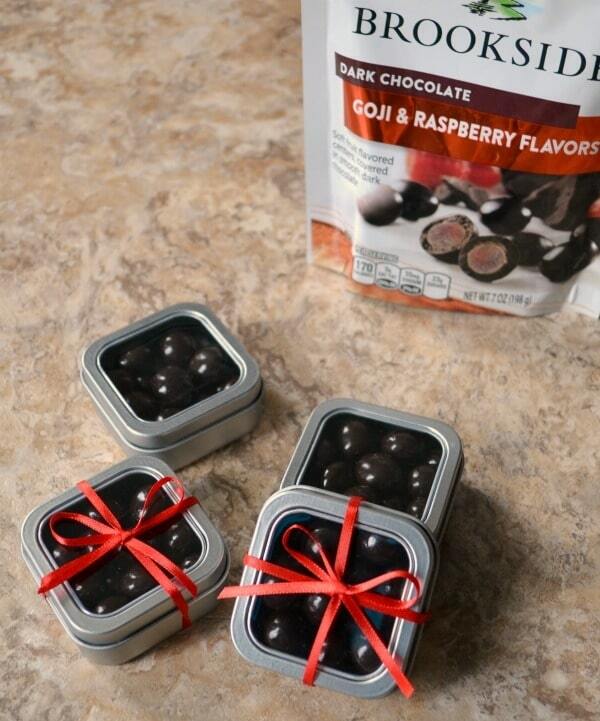 One bag of Brookside Chocolates will easily fill 4 of these tins if you fill them to the top. One of my favorite indulgences at the end of a long week is to enjoy a glass of wine and a handful of Brookside Chocolates after dinner. Based on conversations with my friends, I know I’m not the only one who loves this delicious combination when unwinding. That’s why my go-to gift basket idea is one filled with Brookside Chocolates and wine. You can throw in a couple of wine glasses, line the basket with a cloth napkin, and fill a decorative jar with some of the chocolates to really dress up the presentation. In a hurry? 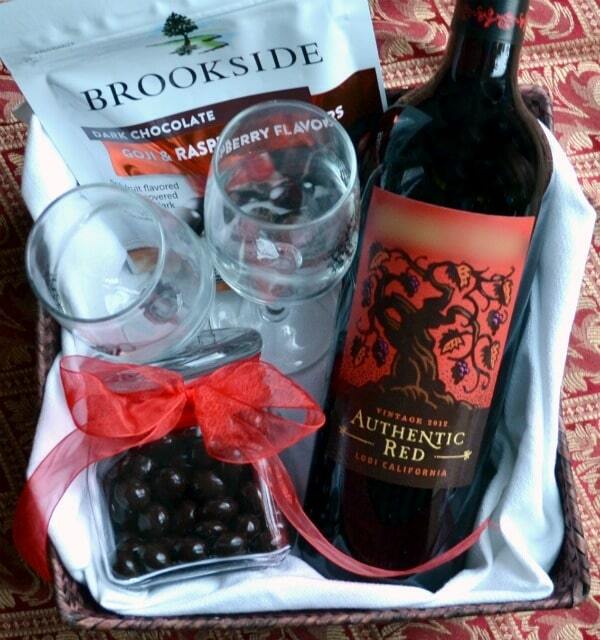 Grab a bottle of wine and a bag of Brookside Chocolates and put them in a gift bag together. 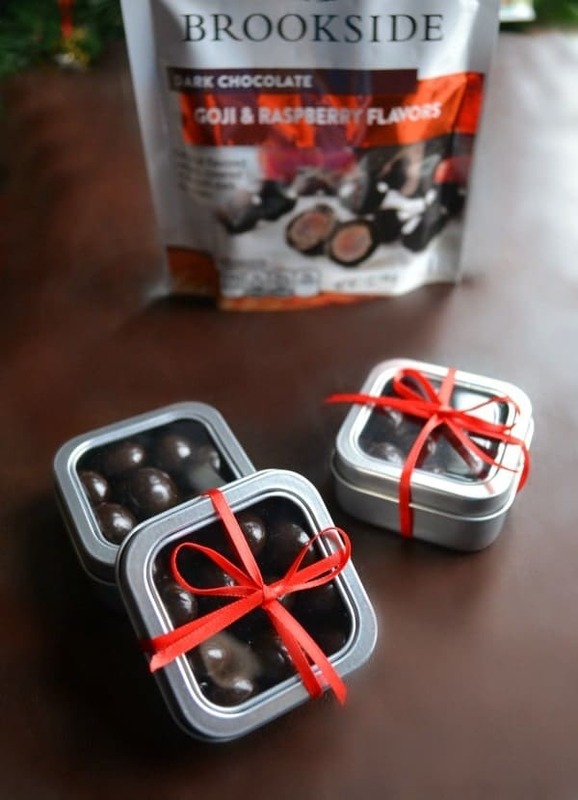 Perfect hostess gift in under a minute. So, if you want to be ever-ready to throw an impromptu party or put together an amazing last-minute gift, stock your pantry with a variety of Brookside Chocolates. If a gifting opportunity doesn’t present itself, you’ll have a delicious treat for yourself available when you need it! 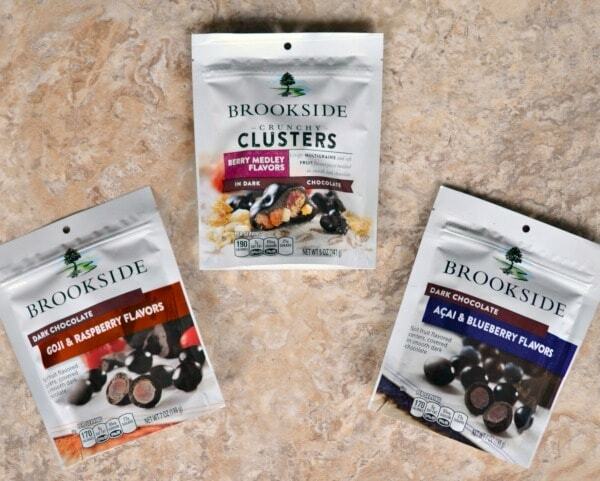 For your sweet side, your sassy side, your outgoing side and your I-need-a-moment-to-myself side, Brookside Chocolates are perfect for all your sides.